In an industry built on service, it's Sheila Burns' steadfast commitment to serving her clients that sets her apart. As a licensed broker since 2005 based in the Northern Suburbs, Sheila has garnered a reputation for her tireless work ethic, excellent communication and friendly, empathetic nature. Sheila brings superior negotiating and problem solving skills to the table for her real estate clients—who she considers partners throughout the process—every step of the way. With prior career experience as the director of client relations for a nationwide law firm, Sheila honed skills that she now applies to all of her real estate transactions, including a high level of professionalism and a good natured can-do attitude. 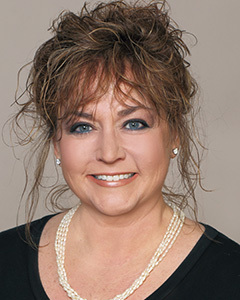 As a lifelong resident of Lake County, Sheila is an invaluable resource for her clients. She brings a vast knowledge of Northern Suburban neighborhoods, schools, restaurants and local resources and puts it to work helping clients find the ideal home in their chosen community. Utilizing her intimate knowledge of the area while staying up-to-date on Northern Suburbs real estate marketplace trends, Sheila can accurately guide and counsel both home buyers and sellers. Sheila lives in Green Oaks with her husband, two high school children, and three dogs. She enjoys her role as the director of a charitable family foundation that provides grants to organizations which benefit the health and wellbeing of society. "Sheila provided excellent service. She is very responsive to my calls and inquiries and provided several value added services that other realtors didn't offer."